I taught the EMC Cloud Infrastructure and Services (CIS) class last week and naturally, a few students came from the VMware space. I asked how they were implementing their storage and everyone said Fibre Channel. I have spoken to a lot of people about this as well in the past, whether they are using SAN or NAS storage for VMware environments. And almost 99% would say SAN, either FC-SAN or iSCSI-based SAN. Why??? When I ask these people about deploying NFS, the usual reply would be related to performance. NFS version 3 won the file sharing protocol race during its early days where Unix variants were prevalent, but no thanks to the Balkanization of Unices in the 90s. Furthermore, NFS lost quite a bit of ground between NFSv3 in 1995 and the coming out party of NFSv4.1 just 2 years ago. The in-between years were barren and NFS become quite a bit of a joke with “Need For Speed” or “No F*king Security“. That also could be a contributing factor to the NFS-phobia we see here in Malaysia. I have experiences with both SAN and NAS and understood the respective protocols of Fibre Channel, iSCSI, NFS and CIFS, and I felt that NFS has been given unfair treatment by people in this country. For the uninformed, NFS is the only NAS protocol supported by VMware. CIFS, the Windows file sharing protocol, is not supported, probably for performance and latency reasons. However, if you catch up with high performance computing (HPC), clustering, or MPP (Massively Parallel Processing) resources, almost always you will read about NFS being involved in delivering very high performance I/O. So, why isn’t NFS proposed with confidence in VMware environments? I have blogged about this before. And I want to use my blog today to reassert what I believe in and hope that more consideration can be given to NFS when it comes to performance, even for virtualized environments. 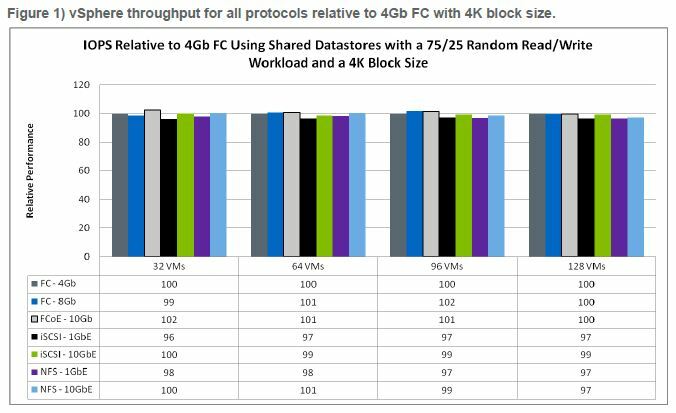 From the 2 graphs of IOPS and Latency, NFS fares well against other more popular transport protocols in VMware environments. 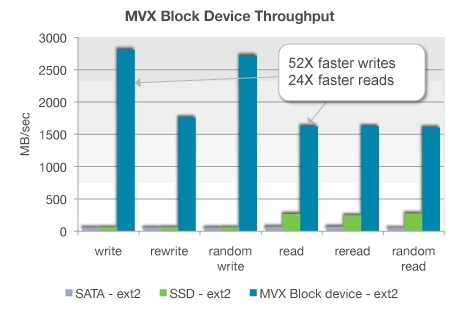 Those NFS performance numbers, are probably not RDMA driven as well. Otherwise RDMA could very well boost the NFS numbers into even higher ground. What is this RDMA (Remote Direct Memory Access)? RDMA is already making its presence felt quietly, and being used with transports like Infiniband and 10 Gigabit Ethernet. In fact, Oracle Solaris version 11 will use RDMA as the default transmission protocol whenever there is a presence of RDMA-enable NICs in the system. The diagram below shows where RDMA fits in in the network stack. I was trying to find out how prevalent NFS was in supporting the fastest supercomputers in the world from the Top500 Supercomputing sites. I did not find details of NFS being used, but what I found was the Top500 supercomputers do not employ Fibre Channel SAN at all! Most have either proprietary interconnects with some on Infiniband and 10 Gigabit Ethernet. I would presume that NFS would figure in most of them, and I am confident that NFS can be a protocol of choice for high performance environments, and even VMware environments. 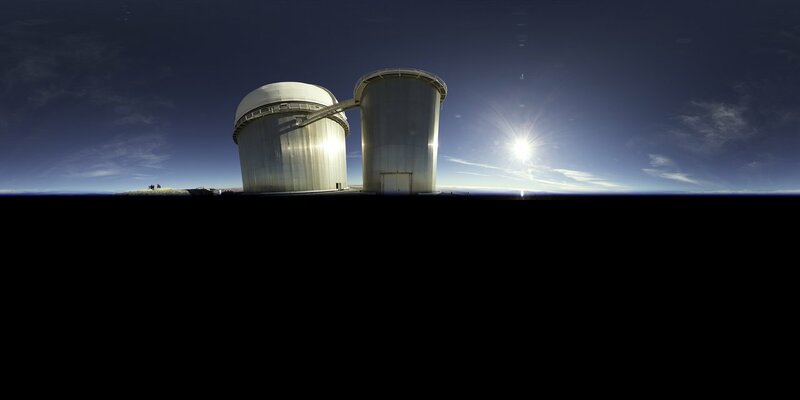 The future looks bright for NFSv4. 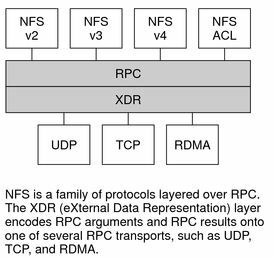 We are beginning to see the word of “parallel NFS (pNFS)” being thrown into conversations around here, and the awareness is there. NFS version 4.2 is just around the corner as well, promising greater enhancement to the protocol. The next all-Flash product in my review list is SolidFire. Immediately, the niche that SolidFire is trying to carve out is obvious. It’s not for regular commercial customers. It is meant for Cloud Service Providers, because the features and the technology that they have innovated are quite cloud-intended. Are they solid (pun intended)? Well, if they have managed to secure a Series B funding of USD$25 million (total of USD$37 million overall) from VCs such as NEA and Valhalla, and also angel investors such as Frank Slootman (ex-Data Domain CEO) and Greg Papadopoulus(ex-Sun Microsystems CTO), then obviously there is something more than meets the eye. The SolidFire only has one product model, and that is the 1U SF3010. The SF3010 has 10 x 2.5″ 300GB SSDs giving it a raw total of 3TB per 1U. The minimum configuration is 3 nodes, and it scales to 100 nodes. The reason for starting with 3 nodes is of course, for redundancy. Each SF3010 node has 8GB NVRAM and 72GB RAM and sports 2 x 10GbE ports for iSCSI connectivity, especially when the core engineering talents were from LeftHand Networks. LeftHand Networks product is now HP P4000. There is no Fibre Channel or NAS front end to the applications. Each node runs 2 x Intel Xeon 2.4GHz 6-core CPUs. The 1U height is important to the cloud provider, as the price of floor space is an important consideration. Aside from the SF3010 storage nodes, the other important ingredient is their SolidFire Element OS. Cloud storage needs to be available. The SolidFire Helix Self-Healing data protection is a feature that is capable of handling multiple concurrent failures across all levels of their storage. Data blocks are replicated randomly but intelligently across all storage nodes to ensure that the failure or disruption of access to a particular data block is circumvented with another copy of the data block somewhere else within the cluster. The idea is not new, but effective because solutions such as EMC Centera and IBM XIV employ this idea in their data availability. But still, the ability for self-healing ensures a very highly available storage where data is always available. To address the efficiency of storage, having 3TB raw in the SF3010 is definitely not sufficient. Therefore, the Element OS always have thin provision, real-time compression and in-line deduplication turned on. These features cannot be turned off and operate at a fine-grained 4K blocks. Also important is the intelligence to reclaim of zeroed blocks, no-reservation, and no data movement in these innovations. This means that there will be no I/O impact, as claimed by SolidFire. 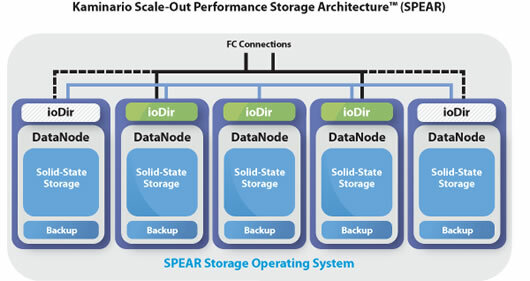 The combination of QOS and storage capacity efficiency gives SolidFire the edge when cloud providers can scale both performance and capacity in a more balanced manner, something that is not so simple with traditional storage vendors that relies on lots of spindles to achieve IOPS performance sacrificing capacity in the process. But then again, with SSDs, the IOPS are plenty (for now). SolidFire does not boast performance numbers of millions of IOPS or having throughput into the tens of Gigabytes like Violin, Virident or Kaminario, but what they want to be recognized as the cloud storage as it should be in a cloud service provider environment. SolidFire calls this Performance Virtualization. Just as we would get to carve our storage volumes from a capacity pool, SolidFire allows different performance profiles to be carved out from the performance pool. This gives SolidFire the ability to mix storage capacity and storage performance in a seemingly independent manner, customizing the type of storage bundling required of cloud storage. In fact, SolidFire only claims 50,000 IOPS per storage node (including the IOPS means for replicating data blocks). Together with their native multi-tenancy capability, the 50,000 or so IOPS will align well with many virtualized applications, rather than focusing on a 10x performance improvement on a single applications. 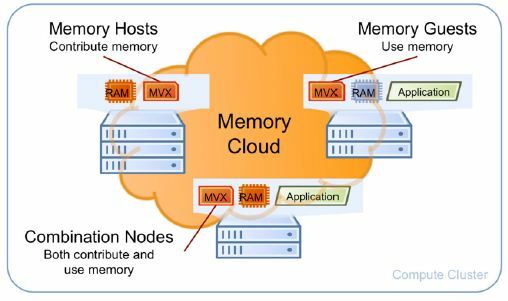 Their approach is more about a more balanced and spread-out I/O architecture for cloud service providers and the applications that they service. Their management is also targeted to the cloud. It has a REST API that integrates easily into OpenStack, Citrix CloudStack and VMware vCloud Director. This seamless and easy integration, is more relevant because the CSPs already have their own management tools. That is why SolidFire API is a REST-ready, integration ready to do just that. The power of the SolidFire API is probably overlooked by storage professionals trained in the traditional manner. But what SolidFire API has done is to provide the full (I mean FULL) capability of the management and provisioning of the SolidFire storage. Fronting the API with REST means that it is real easy to integrate with existing CSP management interface. Together with the Storage Nodes and the Element OS, the whole package is aimed towards a more significant storage platform for Cloud Service Providers(CSPs). Storage has always been a tricky component in Cloud Computing (despite what all the storage vendors might claim), but SolidFire touts that their solution focuses on what matters most for CSPs. The edge in cloud storage is definitely solid for SolidFire. Their ability to leverage on their position and steering away from other all-Flash vendors’ battlezone could all make sense, as they aim to gain market share in the Cloud Service Provider space. I only wish they can share more about their technology online. Lots of confidence about the superiority of their technology, as portrayed by their CEO, Dave Wright. The Internet was abuzz with the emergence of a new storage player, uncloaking from stealth mode yesterday. Calling themselves Starboard Storage Systems, they plan to shake up the SMB/SME market with a full-featured storage system that competes with established players, but with a much more competitive pricing model. Let’s face it. A cheaper price sells. That is the first door opener right there. Their model, the AC72 has a starting price of USD$59,995. The capacity is 24TB, and also includes 3 SSDs for performance caching but I can’t really comment whether the price is a good price. It’s all relative and has different context and perceptions in different geographies. An HDD today is already 3 or 4TB, and a raw capacity of 24TB is pretty easy to fill up. But Starboard Storage has a trick up its sleeve. An SMB/SME customer usually cannot afford to dedicate the storage systems for just one application. It cannot afford to, because it is too cost prohibitive. They are likely to have a mixed workload, with a combination of applications such as emails (think Exchange), databases (think SQL Server or mySQL), web applications, file server (think Windows Client) and server virtualization (think VMware or Hyper-V). They are likely to have a mix of Windows and Linux. Hence Starboard Storage combines all storage file- and block- protocols, in an “all-inclusive” license for NFS, CIFS, iSCSI and Fibre Channel. An “all-inclusive” license is smart thinking because the traditional storage players such as EMC, IBM, NetApp and the rest of top 6 storage vendors today have far too prohibitive licenses cocktails. Imagine telling your prospect that your storage model is a unified storage and support all storage protocols, but they have to pay for have the protocol licenses turned on. In these days and times, the unified storage story is getting old and no longer a potent selling advantage. The other features such as snapshots, thin provisioning should be a shoo-in, along with replication and flexible volumes (I am a NetApp guy ;-)) and aggregates (better known as Dynamic Storage Pools in Starboard Storage terminology) a must-have. I am really glad that Starboard Storage could the first to bundle everything in an “all-inclusive” license. Let’s hope the big 6 follow suit. The AC72 also sports a SSD Accelerator tier for automatic performance caching, for both Reads and Writes. It is not known (at least I did not research this deep enough) whether the Accelerator Tier is also part of the “all-inclusive” license but if it is, then it is fantastic. 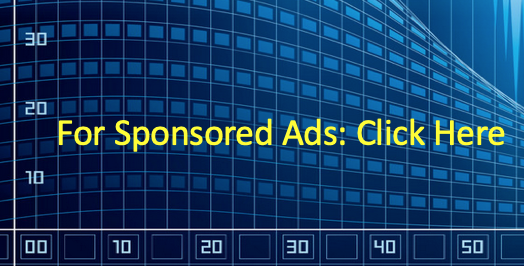 To Starboard Systems, their marketing theme are things related to high speed sailboats. The AC in AC72 stands for America’s Cup and AC72 is the high speed catamaran. Their technology is known as MAST (Mixed Workload, Application-Crafted Storage Tiering) architecture (that’s a mouthful) and the target is exactly that – a mixed workload environment – , just what the SMB/SME ordered. 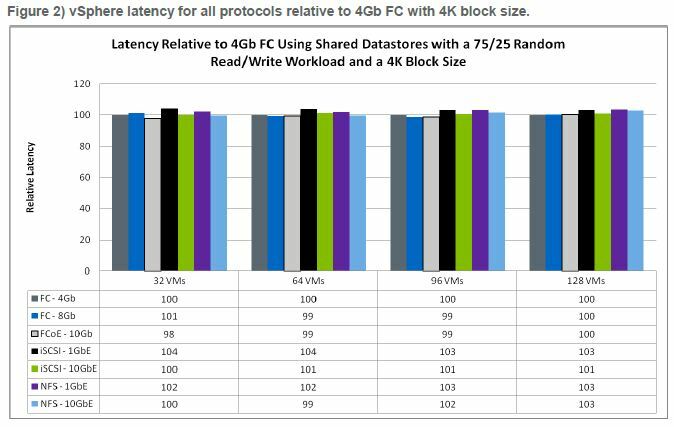 This allows Starboard to claim that they have the ” best density with leading dollar per GB and dollar per IOPS“. To me, the window of opportunity is definitely there. For a long time, many storage vendors claim to be SMB/SME-friendly without being really friendly. SMB/SME customers have expanded their requirements and wanting more, but there are too much prohibitions and restrictions to get the full features from the respective storage systems vendors. The generosity of Starboard to include “all” licenses is definite a boon for SMB/SMEs and that means that someone has been listening to customers better than the others. The appeal is there too, for Starboard Storage Systems, because looking at their specifications, I am sure they are not skimping on enterprise quality. Speaking of enterprise storage systems, competitors in Taiwanese brands here in Malaysia such as Infortrend, QSAN aren’t exactly “cheap”. They might sound “cheap” because the local partners lack the enterprise mentality and frequently position these storage as cheap when comparing with the likes of EMC, HP, IBM and NetApp. The “quality” of these local partners in their ability to understand SMB/SME pain-points, ability to articulate benefits or design and architect the total storage and data management solutions for customers, contributes to the “cheap” mentality of customers. I am not deriding these brands because they are good storage in their own right. But local partners of such brands tend to cut corners, cut price at the first customer’s hesitation, and worst of all, making outrageous claims, all contributing to the “cheap” mentality. These brands deserve better. SMB/SME customers too, are at fault. Unlike what I have experienced with customers across the borders, both north and south of Malaysia, customers here take a very lackadaisical approach when they come to procure IT equipment and solutions for their requirements. They lack the culture to find out more and improve. It is always about comparing everything to the cheapest price! Other brands such as Netgear, D-Link and QNAP are really consumer-grade storage disguising as “enterprise-class” storage for SMB/SME, most relying on lower grade CPUs such as Atom, Celeron and non-enterprise x86 CPUs and have less than 8GB of memory. I am not even sure if the memory sported in these boxes are ECC memory. Let’s not even go to the HDDs of these boxes, because most SMB/SME customers in Malaysia lack the knowledge to differentiate MTBF hours of consumer and enterprise HDDs. So, kudos to Starboard Storage Systems to package a superb bundle of enterprise features for an SMB/SME price, at least for the US market anyway. USD$59,995 is still a relatively high price in Malaysia because most SMB/SMEs still look at price as the point of discussion. But I believe Starboard brings a no-brainer, enterprise storage systems if they ever want to consider expansion in Malaysia. The name “Kaminario” intrigues me and I don’t know the meaning of it. But there is a nice roll off the tongue until you say it a few times, fast and your tongue get twisted in a jiffy. Kaminario is one of the few prominent startups in the all-flash storage space, getting USD$15 million Series C funding from big gun VCs of Sequoia and Globespan Capital Partners in 2011. That brought their total to USD$34 million, and also bringing them the attention of storage market. I am beginning my research into their technology and their product line, the K2 and see why are they special. I am looking for an angle that differentiates them and how they position themselves in the market and why they deserved Series C funding. Kaminario was founded in 2008, with their headquarters in Boston Massachusetts. They have a strong R&D facility in Israel and looking at their management lineup, they are headed by several personalities with an Israel background. All this shouldn’t be a problem to many except the fact that Malaysia don’t recognize Israel diplomatically and some companies here, especially the government, might have an issue with the Israeli link. But then again, we have a lot of hypocrites in Malaysian politics and I am not going to there in my blog. It’s a waste of my time. The key technology is Kaminario’s K2 SPEAR Architecture and it defines a fundamental method to store and retrieve performance-sensitive data. Yes, since this is an all-Flash storage solution, performance numbers, speeds and feeds are the “weapons” to influence prospects with high performance requirements. Kaminario touts their storage solution scales up to 1.5 million IOPS and 16GB/sec throughput and indeed they are fantastic numbers when you compare them with the conventional HDDs based storage platforms. But nowadays, if you are in the all-Flash game, everyone else is touting similar performance numbers as well. So, it is no biggie. The idea using blades is a good idea because blades offers integrated wiring, consolidation, simple plug-and-play, ease-of-support, N+1 availability and so on. But this will also can put Kaminario in a position of all-blades or nothing. This is something some customers in Malaysia might have to get used to because many would prefer their racks. I could be wrong and let’s hope I am. Each enclosure houses 16 blades, with N+1 availability. As I am going through Kaminario’s architecture, the word availability is becoming louder, and this could be something Kaminario is differentiating from the rest. Yes, Kaminario has the performance numbers, but Kaminario is also has a high-available (are we talking 6 nines?) architecture inherent within SPEAR. Of course, I have not done enough to compare Kaminario with the rest yet, but right now, availability isn’t something that most all-Flash startups trumpet loudly. I could be wrong but the message will become clearer when I go through my list of all-Flash – SolidFire, PureStorage, Virident, Violin Memory and Texas Memory Systems. Each of the blades can be either an ioDirector or a DataNode, and they are interconnected internally with 1/10 Gigabit ports, with at least one blade acting as a standby blade to the rest in a logical group of production blades. The 10Gigabit connection are used for “data passing” between the blades for purpose of load-balancing as well as spreading out the availability function for the data. The Gigabit connection is used for management reasons. In addition to that there is also a Fibre Channel piece that is fronting the K2 to the hosts in the SAN. Yes, this is an FC-SAN storage solution but since there was no mention of iSCSI, the IP-SAN capability is likely not there (yet). The 2 key components are the ioDirector and the DataNode. A blade can either have a dedicated personality (either ioDirector or DataNode) or it can share both personalities in one blade. Minimum configuration is 2-blades of 2 ioDirectors for redundancy reasons. The ioDirector is the front-facing piece. It presents to the SAN the K2 block-based LUNs and has the intelligence to dynamically load balance both Reads and Writes and also optimizing its resource utilization. The DataNode plays the role of fetching, storing, and backup and is pretty much the back-end worker. With this description, there are 2 layers in the SPEAR architecture. And interestingly, while I mentioned that Kaminario is an all-Flash storage player, it actually has HDDs as well. The HDDs do not participate in the primary data serving and serve as containers for backup for the primary data in the SSDs, which can be MLC-Flash or DRAMs. The back-end backup layer comprising of HDDs is what I said earlier about availability. Kaminario is adding data availability as part of its differentiating features. That’s the hardware layout of SPEAR, but the more important piece is its software, the SPEAR OS. It has 3 patent-pending capabilities, with not so cool names (which are trademarked). The Automated Data Distribution of the SPEAR OS acts as a balancer. It balances the data by dynamically and randomly (in an random equilibrium fashion, I think) to spread out the data over the storage capacity for efficiency, SSD longevity and of course, optimized performance balancing. The second capability is Intelligent Parallel I/O Processing. 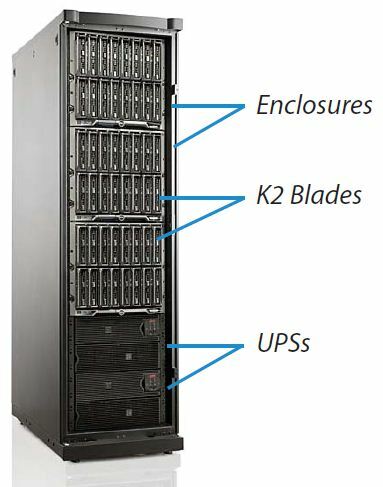 The K2 architecture is essentially a storage grid. The internal 10Gigabit interconnects basically ties all nodes (ioDirectors and DataNodes) together in a grid-like fashion for the best possible intra-node communications. The parallelization of the I/O Read and Write requests spreads across the nodes in the storage grid, giving the best average response and service times. Last but not least is the Self Healing Data Availability, a capability to dynamically reconfigure accessibility to the data in the event of node failure(s). Kaminario claims no single point of failure, which is something I am very interested to know if given a chance to assess the storage a bit deeper. So far, that’s the information I am able to get to. 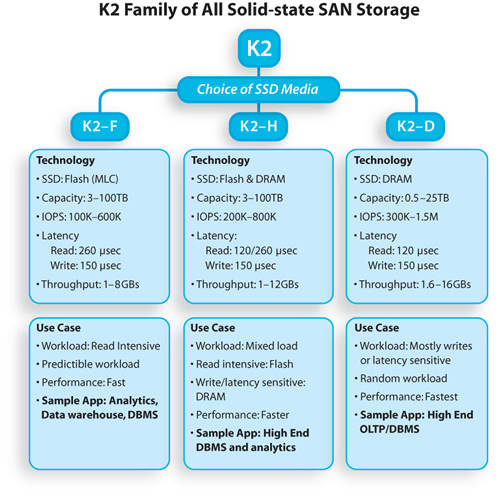 The Kaminario K2 product line comes in 3 model – D, F, and H.
Kaminario is one of the early all-Flash storage systems that has gained recognition in 2011. They have been named a finalist in both Storage Magazine and SearchStorage Storage Product of the Year competitions for 2011. This not only endorses a brand new market for solid state storage systems but validates an entirely new category in the storage networking arena. Kaminario can be one to watch in 2012 as with others that I plan to review in the coming weeks. The battle for Flash racks is coming! BTW, Dell is a reseller of Kaminario. The battle is probably already here. 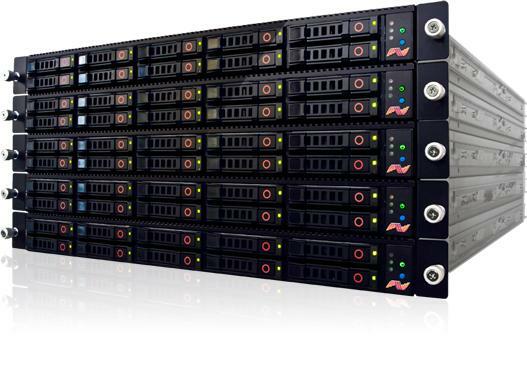 It has just begun for rack mounted flash-based or DRAM-based (or both) storage systems. We have read in the news about the launch of EMC’s Project Lightning, and I wrote about it. EMC is already stirring up the competition, aiming its guns at FusionIO. 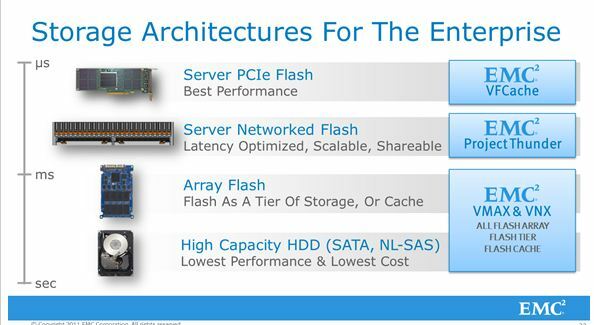 Here’s a slide from EMC comparing their VFCache with FusionIO. Not to be outdone, NetApp set its motion to douse the razzmatazz of EMC’s Lightning, announcing the future availability of their server-side flash software (no PCIe card) but it will work with major host-based/server-side PCIe Flash cards. (FusionIO, heads up). Ah, in Sun Tsu Art of War, this is called helping your buddy fight the bigger enemy. NetApp threw some FUDs into the battle zone, claiming that EMC VFCache only supports 300GB while the NetApp flash software will support 2TB, NetApp multiprotocol, and VMware’s VMotion, DRS and HA. (something that VFCache does not support now). The battle of PCIe has begun. The next battle will be for the rackmounted flash storage systems or appliance. EMC is following it up with Project Thunder (because thunder comes after lightning), which is a flash-based storage system or appliance. Here’s a look at EMC’s preliminary information on Project Thunder. And here’s how EMC is positioning different storage tiers in the following diagram below (courtesy of VirtualGeek), being glued together by EMC FAST (Fully Automated Storage Tiering) technology. But EMC is not alone, as there are already several prominent start-ups out there, already offering flash-based, rackmount storage systems. In the battle ring, there is Kaminario K2 with the SPEAR (Scale-out Performance Storage Architecture), Violin Memory with Violin Switched Memory (VXM) architecture, Purestorage Purity Operating Environment and SolidFire’s Element OS, just to name a few. Of course, we should never discount the grand daddy of all flash-based storage – Texas Memory Systems RamSAN. The whole motion of competition in this new arena is starting all over again and it’s exciting for me. There is so much to learn about newer, more innovative architecture and I intend to share more of these players in the coming blog entries. It is time to take notice because the SSDs are dropping in price, FAST! And in 2012, I strongly believe that this is the next battle of the storage players, both established and start-ups. I have been an avid reader of SearchStorage Storage magazine for many years now and have been downloading their free PDF copy every month. 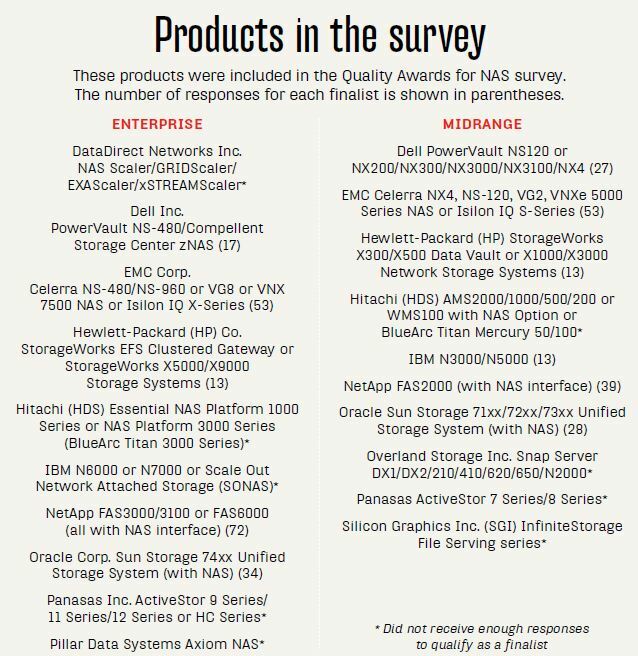 Quietly snugged at the end of January 2012’s issue, there it was, the Storage magazine 6th annual Quality Awards for NAS. 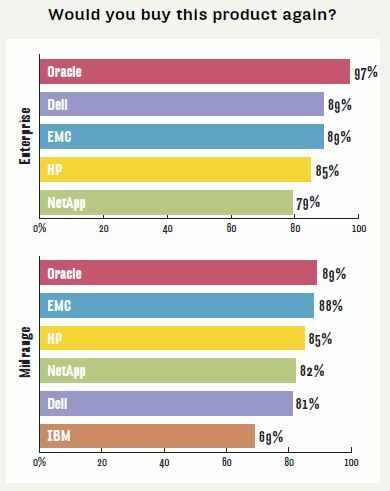 I was pleasantly surprised with the results because in the previous annual awards, it would dominated by NetApp and EMC but this time around, a dark horse has emerged. It is Oracle who took top honours in both the Enterprise and the Mid-range categories. Surprised? You bet because I was. In each of the 5 main areas, customers were asked a series of questions. Here is a breakdown of those questions of each area. Are the sales force knowledgeable about their products and their customer’s industries? How flexible are their sales effort? How good are they keeping the customer’s interest levels up? Does the product need little or no vendor intervention? These are some of the intangibles that customers are looking for when they qualify the NAS solutions from vendors. 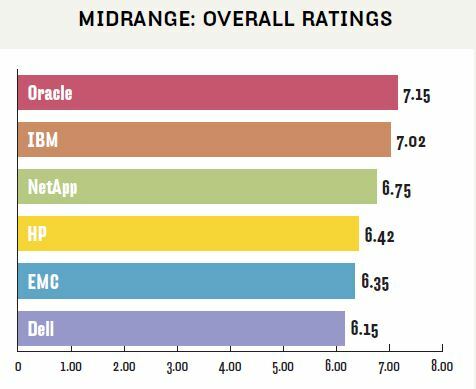 And the surprising was Oracle just became something to be reckoned with, backed by the strong legacy of customer-centric focus of Sun and StorageTek. If this is truly happening in the US, then kudos to Oracle for maximizing the Sun-Storagetek enterprise genes to put their NAS products to be best-of-breed. However, on the local front, it seems to me that Oracle isn’t doing much justice to the human potential they have inherited from Sun. A little bird has told me that they got rid of some good customer service people in Malaysia and Singapore just last month and more could be on the way in 2012. All this for the sake of meeting some silly key performance indices (KPIs) of being measured by tasks per day. The Sun people that I know here in Malaysia and Singapore are gurus who has gone through the fire and thrived and there is no substitute for quality. Unfortunately, in Oracle, it’s all about numbers, whether it is sales or tasks per day. 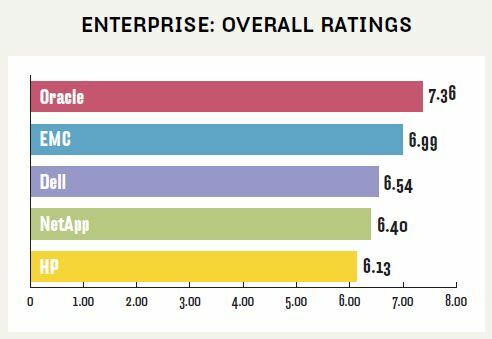 Good for Oracle in the US but the results do not fully reflect what’s on the ground here in Malaysia, which is more likely dominated by NetApp, HP, EMC and IBM. Unofficial SNIA Malaysia Facebook group – You are invited! Some of you might know that I am the incumbent SNIA Malaysia Chairman. But after doing my part for SNIA for the past 2 years, I wanted to step down in January 2012 and let some fresh new blood take over. Unfortunately there were no takers for the position and both myself and my Vice-Chairman had decided to continue to run it for another year. It has not been easy because we volunteer for those positions. And I thank the good support from the SNIA folks in South Asia as well as the regulars who attend our meeting. I can’t say that we are entirely successful in achieving good awareness about SNIA in Malaysia, and there is still a lot to do. But one thing I have always been very proud of was to start the *unofficial* SNIA Malaysia Facebook group. In the past 1 1/2 years, I have used it as a platform to share interesting things in this group, good or bad. I felt that it is time I opened it up to a larger audience as the traffic on my blog has increased 2x in less than 6 months of its inception. It’s time to push the envelope and our limits in our generosity in sharing; testing our understanding in the areas of storage networking and data management; and notching it up a level to include international assessment. I feel that this is the best way for us to improve ourselves, and participate globally with the best who are out there. I don’t claim to be an expert of things, and I am humbled by the many who supported me, us as SNIA Malaysia and my blog. Since I am the admin of the FB group, you are welcomed to join us at http://www.facebook.com/groups/sniamalaysia/. Please no spam. We are professionals who make mistakes and we want to help to spread the message that storage and data is very important. So, join us by sending us a request, and please, please, give us your details and your background before we let you in. We want the Facebook group to be clean and professional.